Ferns N Petals is India’s largest online florist catering to personal, corporate floral and gifting needs. They provide free shipping and promise to deliver in 4 hours across India. For over 20 years, they have been helping customers celebrate their special moments by delivering fresh flowers and fabulous gifts to their loved ones. 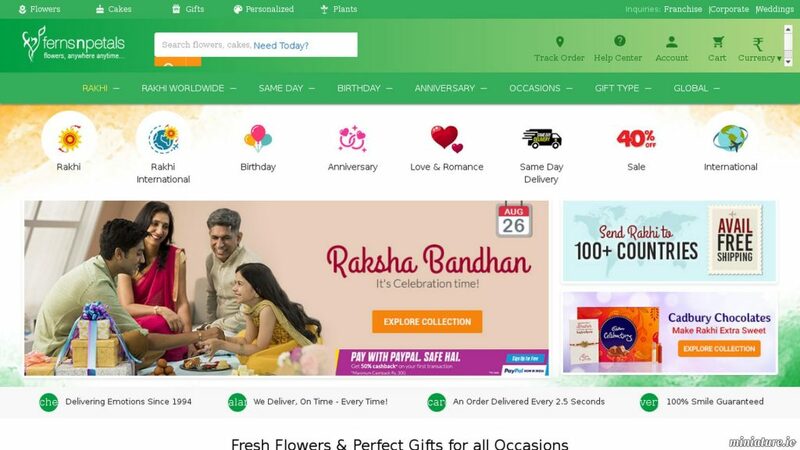 They have pioneered the concept of flowers and gifts in India and have become a driver of marketplace innovation and a contributor in local economies.